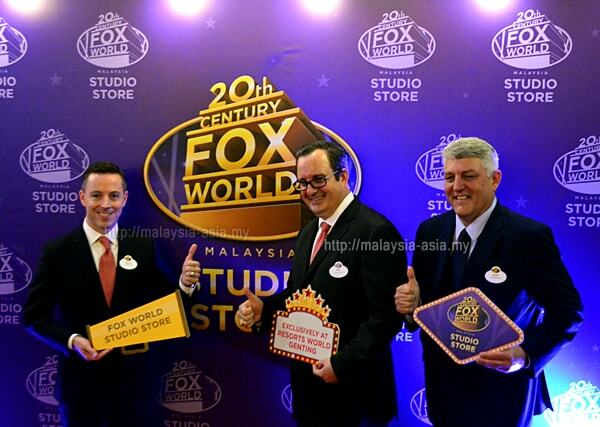 On 21st April, the 20th Century Fox World Studio Store officially opened in Genting, Malaysia. This was huge news as it leads up to the opening of the 20th Century Fox World Theme Park, where both are the first in the world. 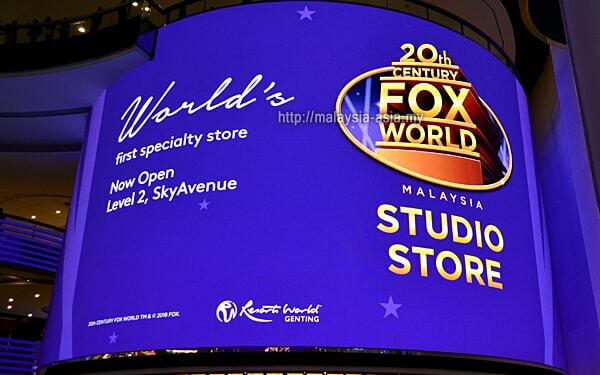 The 20th Century Fox World Studio Store in Malaysia is the first Fox Studio store in the world where visitors can purchase special and unique collectibles, memorabilia and also apparels from popular 20th Century Fox movies. 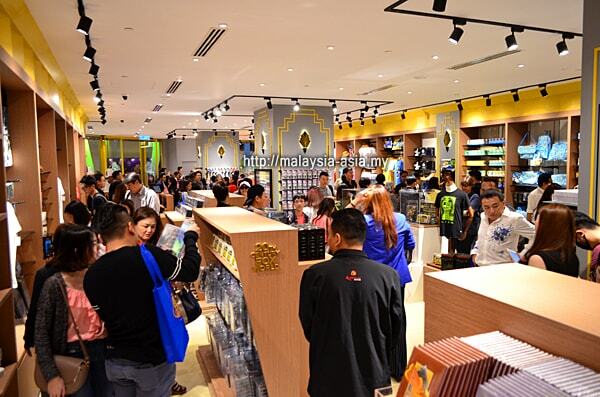 The official opening of the Fox World Studio Store saw over 40 media, bloggers and influencers arrive the night before for a special camping session outside the store. On the event day, special invited guests and media were treated to an opening Samba dance performance before quick and official speeches were delivered by the 20th Century Fox World Studio VIP's. 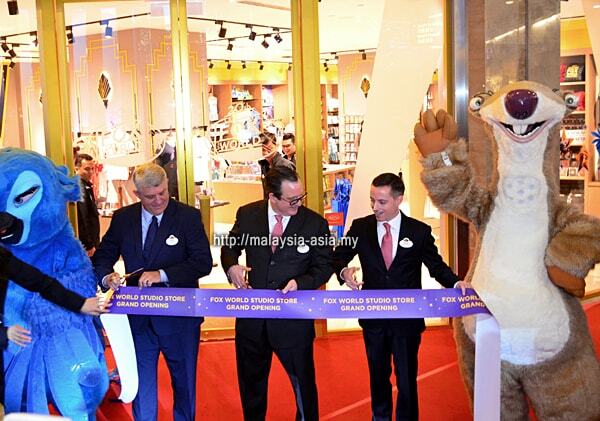 Key people that officially opened the store are Paul Baker, the deputy chief operating officer of Resorts World Genting, Jules Vallier, the general manager of design and construction of 20th Century Fox World Malaysia, and Brian Machamer, the senior vice-president of the 20th Century Fox World Theme Park. 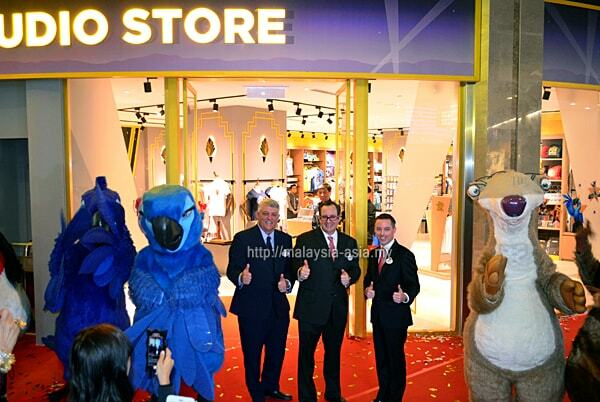 Characters from Rio and Ice Age were there to grace the official opening, which was done in a simple ribbon cutting ceremony, followed with a store visit. Having been to many events and launching over the years, I have to take my hat off to the people at Resorts World for organizing such a simple and straightforward event launching. There was no protocol and time wasting. 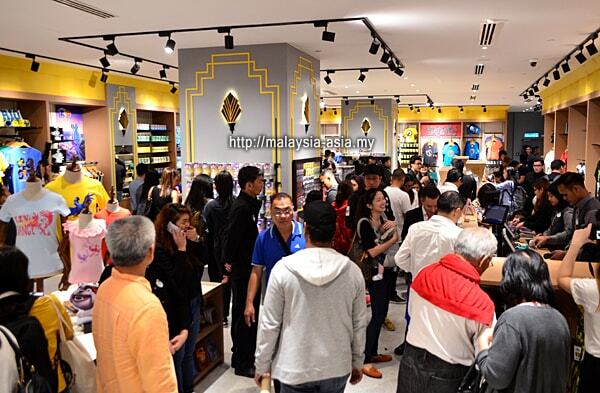 The event was to be launched at 12 noon, and it all went smoothly like clockwork, and by 12.05 PM, the guests were already in the store. What is 20th Century Fox World Studio Store? This is the official retail store for 20th Century Fox World Studios, and sells a range of merchandise that is related to all the movies that they own. 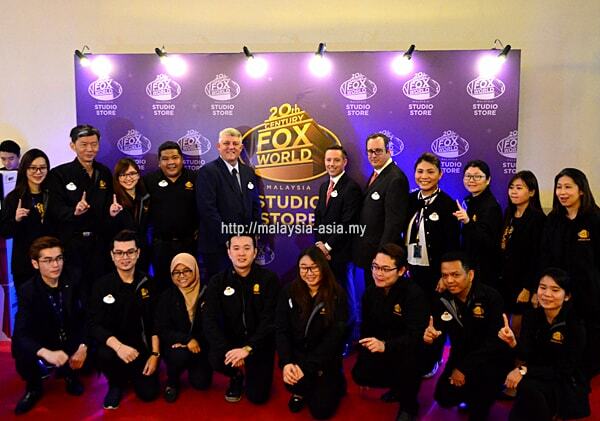 The Fox World Studios Store is also the first in the world opened here in Malaysia, and is part of the 20th Century Fox World Studio Theme Park Malaysia. Popular movies like Rio, Aliens vs Predator, A Night at the Museum, Robots, Ice Age, Planet of the Apes, and many others have their merchandise sold at the store. The items are all originals and come in various categories. You can find apparels like t-shirts and caps with your favorite movies, or unique collectibles that are only sold in the store. 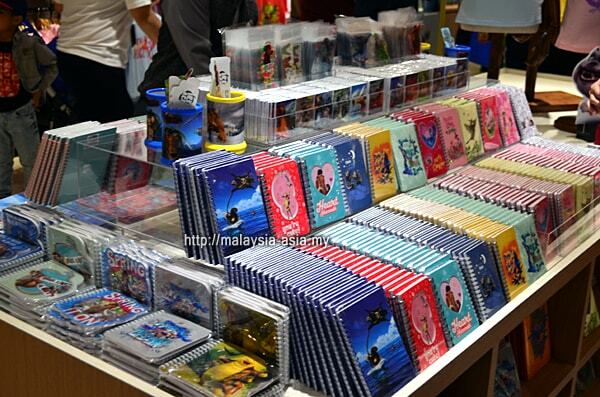 Smaller items such as postcards, notebooks, magnets, mugs and many other interesting items that are priced very reasonably and sold in the store too. For the serious collector, there are limited edition toys and other memorabilia up for grabs. This is a joy for movie buffs who love to collect the memorabilia. 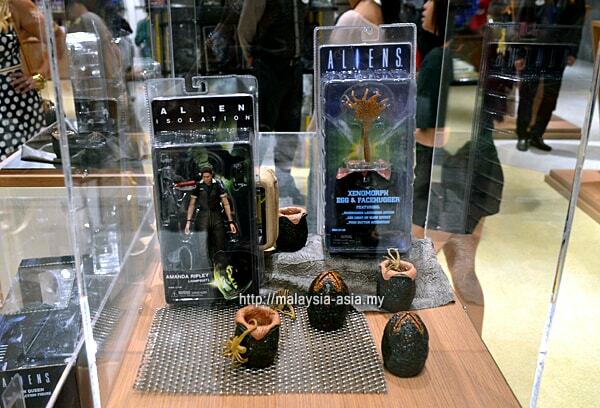 For example, Aliens vs Predator has some pretty cool items, such as the Alien Queen scale model toy or even a tray of unhatched Alien eggs which retail for RM299.00. 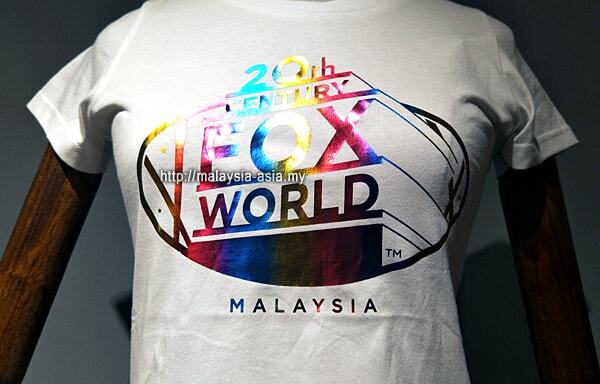 Finally, for tourist visiting Resorts World Genting, you can purchase the 20th Century Fox World Malaysia t-shirt that comes in many designs and sizes. Prices are ranged from RM79.90 to 89.90, and are same for all sizes. 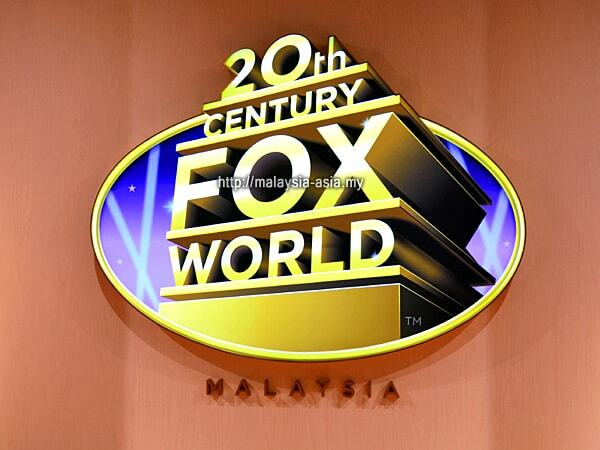 Where is the 20th Century Fox World Store in Malaysia? 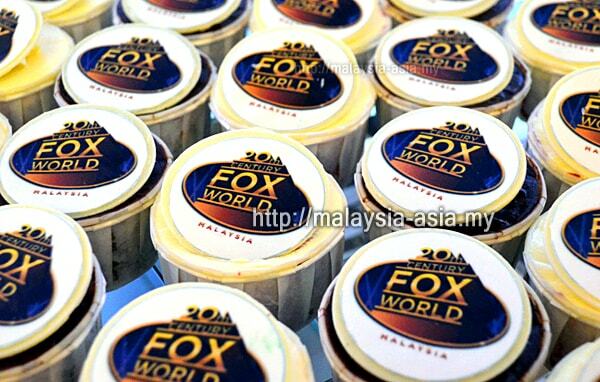 The flagship Fox World Store is located on the second level of SkyAvenue Genting. Is is also located just next to Japanese apparel outlet Uniqlo. 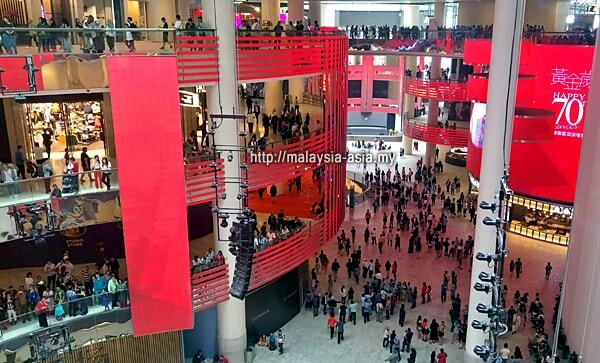 SkyAvenue Genting is the main lifestyle and entertainment area for Resorts World Genting, and is a brand new concept that targets all walks of life who visit this highland resort. 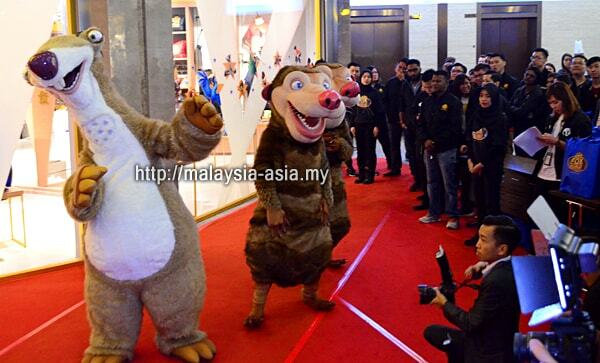 How to go to 20th Century Fox World Studio Store in Genting Malaysia? Generally, there are two main ways to get to Resorts World Genting. By road via car or bus, or by the new and modern cable car system called Awana Skyway. If you take the Awana Skyway, it will lead you directly into the 4th floor of SkyAvenue Genting. From there, you need to take the escalator down two levels to 20th Century Fox World Studio Store. 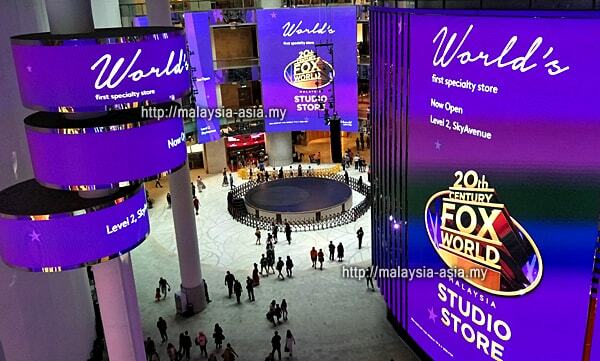 Once you are on level three and go down to level two, you will see the Fox World Studio Store in front of you. 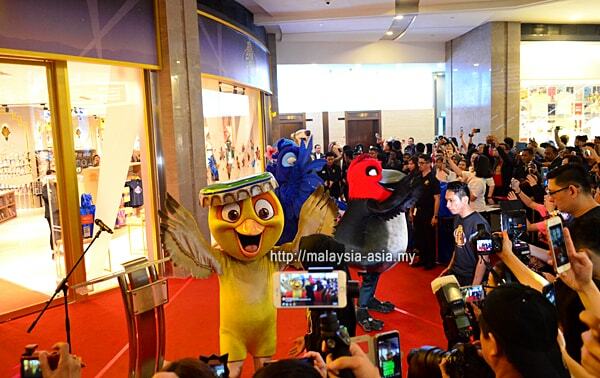 It is quite hard to miss, and if you do need help, just ask any of the staff working around SkyAvenue Genting. The Awana Skyway can be accessed in Awana, where the Genting Premium Outlets is located. The cable car station is the next building to GPO. There is ample parking there at RM3.00 an hour. 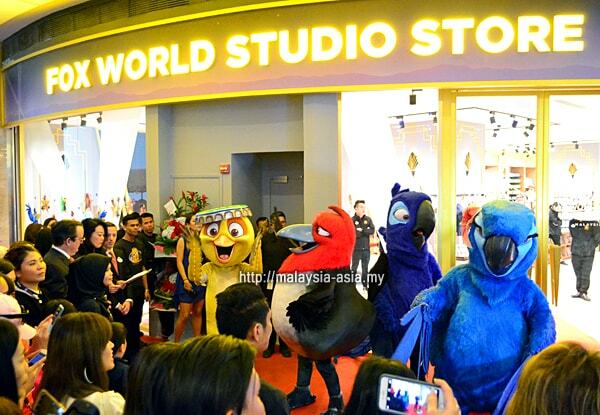 I managed to make a video of the Fox World Studio Store Malaysia opening and it runs for about 2 minutes. If you are watching it, don't forget to subscribe to my channel for more tourism and travel videos. Well, the big question still remains - When is the 20th Century Fox World Theme Park opening? As I spoke briefly to Brian Machamer, the senior vice-president of RWG Theme Parks, he clearly stated that there is no official announcement. 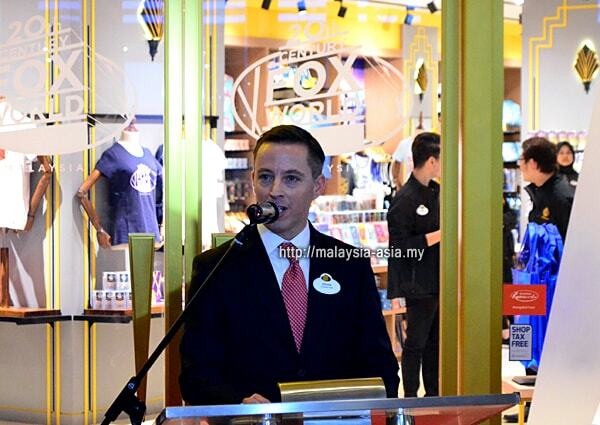 Brian also claimed that in the international standards, a world class theme park takes around 4-5 years to complete. 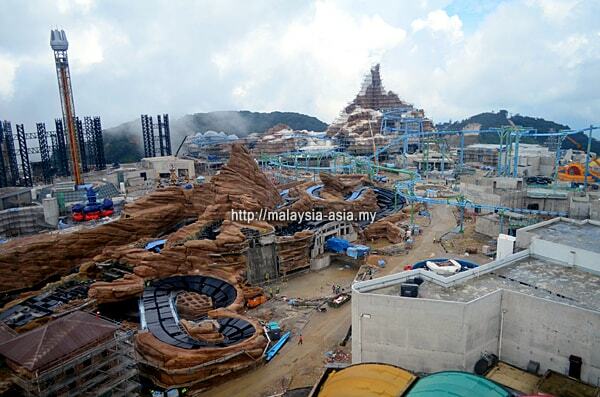 The news came out in 2013 about the new theme park in Genting, and the time line is in-accordance with the standards. The good news is that the new Genting theme park will see its doors open by end of 2018 or early 2019, if everything goes according to plan. For further reading, I created an interesting list of 10 facts about 20th Century Fox World Theme Park. 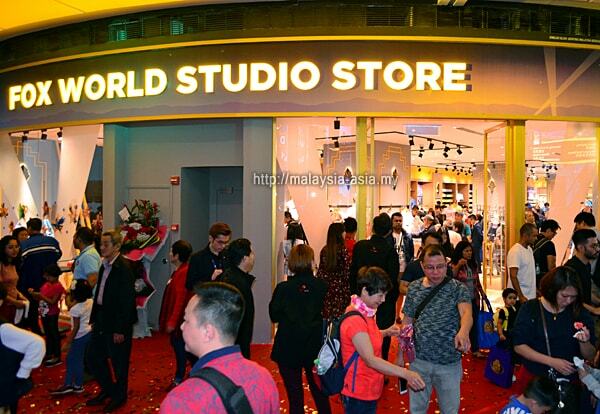 For anyone who is visiting Resorts World Genting, you still have the opportunity to visit the 20th Century Fox World Studio Store at SkyAvenue, which opened on 21st April 2018. And while you are here, do take the opportunity to look around as you never know what you may end up getting.